Blimey, doesn’t seem ten minutes since Topic’s 70th anniversary! They celebrated that with the delightful ‘Three Score and Ten’ boxset, now they have hit their octogenarian phase they’ve pulled out all the stops to celebrate. 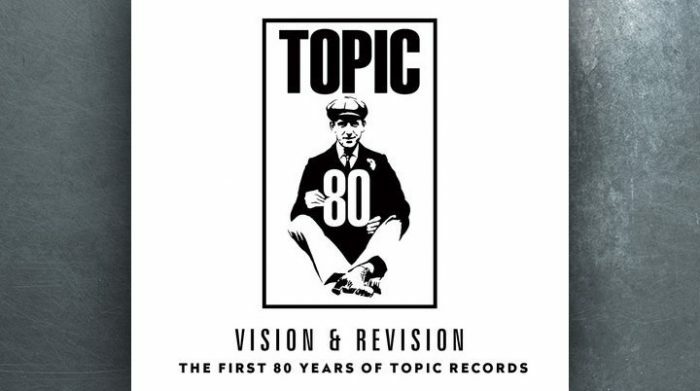 2019 will see a raft of reissues and new releases, this one in particular, Vision & Revision, is a brilliant assessment of their legacy. The premise is a simple one, get some of the top musicians from the current British Folk scene to choose and record their favourite songs from the Topic back catalogue. 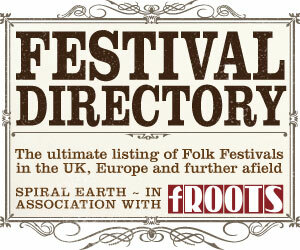 Where else would you get these artists on one recording – Peggy Seeger, Martin Carthy, , Eliza Carthy & Olivia Chaney, Martin Simpson, Richard Thompson, Lankum, John Smith, Sam Lee, Olivia Chaney, Lisa O’Neill, Oysterband, Nancy Kerr, Chris Wood, Josienne Clarke & Ben Walker, Lisa Knapp, Kitty Macfarlane, Sam Kelly & The Lost Boys, Emily Portman & Rob Harbron, Rachael McShane & The Cartographers and The Oldham Tinkers. Each artists reasons for picking their particular song is an insight into what has made Topic so great and enduring across the generations. Chris Wood for example talks of Martin Carthy ‘ He is wholly responsible for me doing what I do in the way I do it’. Martin Simpson says of Hedy West ‘Hedy has remained one of my biggest influences for 50 years’. Then Sam Kelly cites Martin Simpson as being one of his greatest influences. Eliza Carthy hits the nail on the head ‘One of the reasons I love Topic Records so very much is that they make recordings like this available to modern audiences; their archives are truly a trove.’ when she enthuses about Fred Ling’s ‘Voice of the People’. Who would have thought that the oldest independent record label on the planet would be an uncompromising British label, that had it’s roots in left leaning (bit of an understatement there) Workers Music Association of the 1930’s? They have weathered changes in tastes, fashions and economic hard times to be more of an institution than a mere record label, what a great 80th birthday!